One Sunday morning after a great service, a young man came to the media booth eagerly asking about our work & how we accomplished it. He was particularly interested in motion graphics and the video loop we used for our scripture readings that day. As I set out to explain the wonders of After Effects and motion graphic design, he said something that made me pause & think. “That background was so beautiful – in fact, I didn’t even notice the scripture text,” he explained. His attempt at complementing me hit me like an indictment. He didn’t even notice the scripture. Sure, maybe it’s all his fault. Then again, could the fault lie with my team and I? Is there such a thing as “too good”? In our attempt to be excellent at what we do, could our shine be a little too distracting? This is a question that worship teams have faced for some time; what is the balance between great displays of talent and effective ministry? As churches all over the world find their use of video & digital media expanding and developing – media ministers, creative directors & media teams face the challenge of being creative and progressive without falling into the lure of form before function. This is not a tirade against creativity or progressive technology in the church, but a challenge to those of us who are finding our way in this ‘new’ medium. What does excellence mean for us? Excellence, at face value implies that we do all things, with everything we have, in the best way we know how on a consistent basis. Godly excellence, I submit, has an obvious but somewhat understated qualification: purpose. Purpose ensures that all of our attempts at excellence are done to the glory of God. (And whatsoever ye do, do it heartily, as to the Lord, and not unto men; Col 3:23 KJV) The key words in this scripture are “as unto the Lord”. Many media designers in the world work quite heartily – but the successful ones do it unto the client. If I may use the agency analogy here: God is our sole client – we, as the media team, are His communication designers (together with pastors, etc). Our consuming passion is for the fame of His Name & growth of His kingdom. We seek to communicate His message with creative excellence, drawing humanity to Him by encouraging the response of worship, service & relationship. We strive to produce work according to our Client’s specifications & desires, work that will accomplish His purposes (evangelism, encouragement, education, etc). As a creative people, we should be aware how great displays of talent & creative expression can distract audiences from the Client’s message. 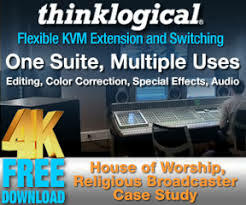 Musicians wrestle with this, now the creative minds of church media teams need to be aware of it. On the flipside, we need to grow into creative communication specialists – and seeing as we do it every week, we should be getting quite good at it. This generation is media-savvy, many preferring digital imagery over print, so we have a great responsibility to be effective communicators of the gospel in this digital age. This responsibility often requires a creative discipline – producing work that accomplishes the goals of the Client. The challenge we face is to find creative growth & excellence while telling our Client’s story. Peter Jackson, the director of the successful Lord of the Rings Trilogy talked about the challenge of telling Tolkien’s story without letting the large-budget special effects hijack the epic story. The special effects needed to be so well done that they never called attention to themselves, instead served the story & characters. The artists worked incredible hours to produce effects that were hardly noticed – yet were indispensable to the storyline. We have a much greater story to tell; now we must harness our talents, creativity & technical aptitudes to serve our message, purpose & Clients. Some of you may be saying – “Creative directors? Motion graphics? Video? 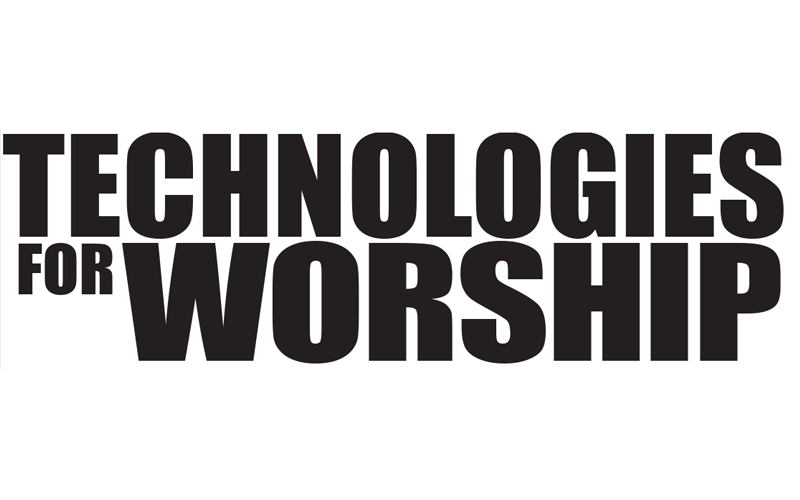 We are still wrestling with PowerPoint!” You may not have the expertise, equipment, software, or budget for many of the latest technical innovations – but if you have a church – you have people. One of the attributes of God that is found abundantly in man is creativity. No matter what tools you have, relevant and creative communication is possible. Spreading the gospel is essentially a spiritual and communications based venture: the strength of these two attributes will directly impact our evangelical/ministerial effectiveness. Good tools and equipment are fantastic aides, but the real resources are found in people who can hear what God is saying, and communicate that message creatively and effectively. Much in the same way that pastors and worship leaders need spiritual and communication assets to be fruitful, so do media ministers – for that is what we are called to be – fruit-bearing ministers. This approach will affect your staffing, recruiting and equipment choices. Start with good people. Build your team with people who have creative streaks in them: youth, musicians, even mothers with kids – all they need is the desire to minister and learn. Pray for these people to surface, advertise in your church – make it known that you are providing a creative opportunity to minister. Technically-minded people are easy to recognize, but your ministry will find fruitfulness when you focus on creative communications. Give your team the mandate to tell a story with pictures, illustrate the truth with video, enhance a sermon with thematic graphics, and create a community with your website. PowerPoint, cameras, or HTML will not do any of the above: only people can. Find them, watch for them, and pray them in. Teach them the rest – empower your staff with training that brings out their gifts. Many of these creative types may or may not be experts with PowerPoint, let alone broadcast switchers & BETA cameras. But great equipment is only a tool. Depending on your team’s level of expertise, the tools you buy can enhance or hamper your effectiveness at serving the Client. With some time spent in research, you can find equipment that is very easy to use, AND delivers. 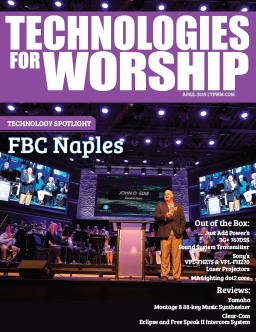 Whether you have one projector and a screen or you are setting up a broadcast studio – there is great ‘volunteer-friendly’ equipment out there waiting to be found, some highlighted in this magazine. Your technical setup should empower your staff, not scare them. It should encourage them to explore new means of communication, without requiring a diploma in Digital Media.